Influence is powerful. Who has been the greatest power of influence in your life and how do you influence others in your life? There are two kinds of influence - Positive and Negative. Both are equally important and drive us to change. We all influence other people, whether it is our students, fellow teachers, family or friends. I am who I am today because of both the Positive and Negative power of influence in my life. I think we all have that in common. Parents play a major role in shaping their children’s attitude just as teachers play a major role in influencing their students learning. The first person who influenced my musical career was my father. 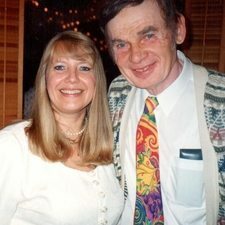 He was an accomplished self-taught musician. My father influenced me in a positive way, through encouragement, confidence building, (sometimes bribery if necessary) and through insisting on a formal musical education. Good job! I love how you played that. I really feel your rhythm and your dynamics were outstanding. That was so beautiful, please play it again. Sometimes it’s not the positive statements that motivate and influence us, but it’s the negative things - the negative, challenging statements. This can be devastating temporarily, then it becomes inspiring. It makes us spring into action. “Oh yes I can” or “I’ll show you!” And I loved to prove him wrong. Both my father and my teacher’s influence shaped my life. 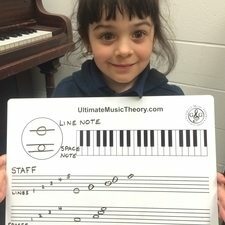 I bet you can't finish your theory in 10 minutes. There is no way you can practice your scales with the metronome. I don't think you can draw whole notes on lines and spaces. 4 year old Addie was challenged to draw whole notes on lines and spaces. Could she really draw whole notes that stayed on the lines and in the spaces? Look how proud she is - YES she did it! What influence motivates your students to success? They may require positive influence, negative influence or both. What motivates you to achieve success when setting goals? Knowing what motivates and influences you will help you focus on your goal. 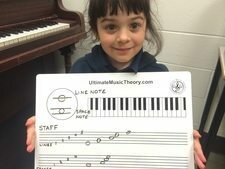 Think about who has influenced your life the most (parent, teacher, musician, composer) - did they use positive influence, negative influence or both? We are influenced by those who dash our dreams, so we give up or rise to the challenge to prove them wrong. We are motivated by those whose influence drives us to rise higher than we ever dreamed possible. We are inspired by words or deeds that show us all the possibilities to reach our goals. Your power of influence as a teacher is truly life changing. 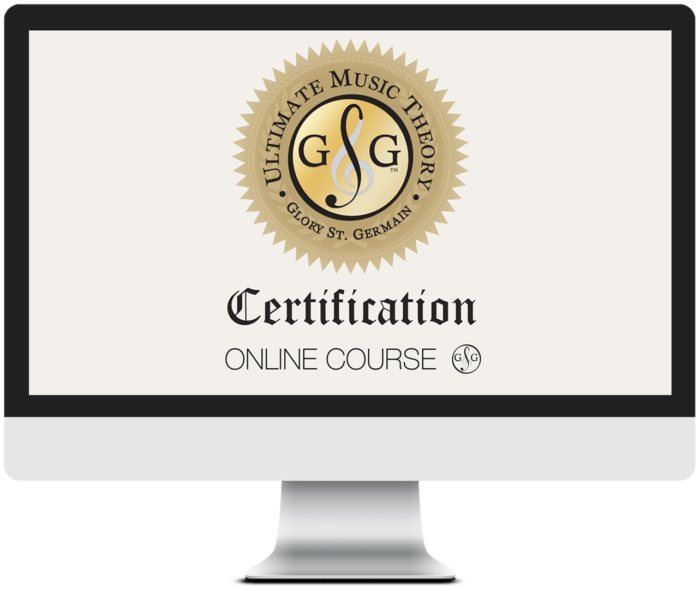 The Ultimate Music Theory Certification Course will show you how to be a powerful influence in the lives of your students, your family and all those around you. P.S. What made you decide to become a teacher? Please share your story below.